This calculator will tell you if applying a rebate to your car purchase or accepting special dealer financing is a better bargain. Simply enter the special interest rate offered by the dealer, as well as the regular interest rate, your cash rebate amount, and the interest rate attached to your savings. Follow this up with the car’s purchase price, the amount you plan to provide as a down payment, the loan term in years, and your combined state and federal tax rate. From the pull-down menu, choose whether or not you plan to invest your rebate in savings or add it to your down payment. Press CALCULATE, and you’ll quickly learn what will save you the most money in the long run. There's a lot to think about when you decide to purchase a new car. Will you buy new or used? Do you want a compact car, a sedan, an SUV, or a truck? Are you looking for a petroleum-fueled vehicle, an electric car, or one of the many sustainable alternatives now available? You also have to compare specs, amenities, and pricing, as well as think about options like colors and textiles. There is no shortage of decisions to be made before you can get behind the wheel and drive off into the sunset. But once you're at the dealership and you've found the car of your dreams, prepare to spend some time haggling over pricing and terms. However, there are instances where you won't have to spend too much time on this. For example, if you are an Auto Club (AAA) member and the dealership has an agreement with this roadside assistance organization, you'll get a set percentage over dealer cost with nary a negotiating tactic. Of course, you may want to first explore any and all options that could offer you a discount on the MSRP of the car you plan to purchase. And this is where manufacturer rebates and low-interest financing come into play. Unfortunately, you can only get one or the other - dealers don't generally offer both. But how can you tell which is going to offer you the better savings? Here are some things to consider before you decide. 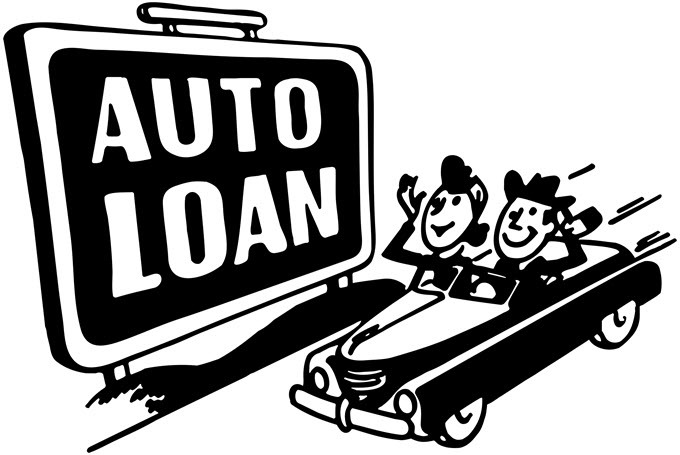 Simply because it is so easy, many car buyers opt to finance through the dealership when purchasing a new vehicle. Then again, you might not realize that you actually stand to save some money going this route. Before you even start looking at cars, you could get preapproved for a loan by your bank of choice. Dealerships, on the other hand, enter into partnerships with lending institutions in order to offer their clientele better terms than a lot of banks can. Because they are bringing guaranteed business to their partner banks, dealers are able to secure more favorable terms for funding, potentially offering you the most desirable auto loan possible. And depending on the terms you select for the repayment schedule, you could secure an even better annual percentage rate. Generally speaking, the longer the term for the loan, the lower the quoted rate for financing. One potential downside of financing through the dealership-partnered lender is that you won't have the opportunity to compare lending options like you would if you took the time to visit different banks for quotes. And of course, consumers with a poor credit history could also have issues. Most lenders will not offer the best terms for applicants unless they have top-tier credit. Even so, you could still end up with better terms via dealership financing than you would with the average retail bank. But that's supposing you are approved for a loan in the first place. If you're dealing with some serious credit issues, but you can't get by without a car, then you may need to speak with a credit union or another lending institution to secure funding for your purchase. These local lenders are more likely to work with applicants that don't have an ideal credit situation, whereas dealer financing might not be quite as accommodating. While you may understand the benefits of a particular type of discount conceptually, you probably don't realize all of the benefits it can provide in terms of a vehicle purchase. Without a doubt, a manufacturer discount will take a set amount of money right off the overall cost of the car you plan to purchase. So you'll obtain an immediate savings. But you also stand to benefit in the long-term from such a reduction, even if you're not able to score favorable financing. Remember, the dealership is unlikely to offer you both. Still, suppose you purchase a car for $20,000 and you're able to secure a discount of $2,000 at the time of purchase. Now suppose you're planning on a 5-year car loan. Basically, the manufacturer discount just wiped out six months’ worth of payments, which could either reduce the amount of time you take to pay off your loan and/or the amount of interest you end up paying. You'll really have to take the time to run some calculations if you want to figure out which option stands to save you more. Fortunately, there are smartphone apps designed to help you through this process. Simply by entering a few pertinent numbers, you can easily determine which option will keep more green in your wallet. The only real drawback of selecting a manufacturer discount over the affordable financing options offered by dealerships is that you could end up with a smaller number initially, but a greater overall payment in the long run. If you can get a truly spectacular annual percentage rate on a loan, it could help you save more money over time, even though your loan amount will be greater than if you had chosen a manufacturer discount. Again, it is important that you take the time to plug in all the relevant numbers and calculate your overall expenses for the duration of the loan agreement. This way, you can choose the best option. Okay, so we can't all be financial experts, but that doesn't mean you can't learn enough to make an informed decision. And frankly, if you want to get the best deal possible, it's your duty to do so as a consumer. Don’t make the mistake of thinking that the dealership is looking out for your best interests. That's not their job! But because they want you to make a purchase, they will work with you to negotiate a price you can both agree on. But they're in business to make money. So it's up to you, as the consumer, to explore all of your options in order to find the best deal on your vehicle purchase.